General Hippolyte-Marie-Guillaume de Rosnyvinen Comte de Piré was born in Rennes on 31 March 1778 and came from an aristocratic family. His father was Pierre-Marie de Rosnyvinen Piré and his mother Helene-Marie Eon. Piré began his career as a Royalist soldier, and as an émigré joined the Garde du Corps du Roi in l'Armee des Princes in 1791, at the age of 13. He spent a period on the staff of the Regiment d'Infanterie de Rohan in 1794, then, after a brief service in Holland he took part in the action at Quiberon on 21 July 1795. This was under an officer called Sombreuil whose father had been executed on the guillotine in 1793. Piré suffered a chest wound during this action but soon joined l'Armee de la Vendee in March 1796, and was wounded again -- this time to his hand. After the pacification of the Vendee in the same year little is heard about Piré, until he is accepted into the Hussards Volontaires in the service of the Premier Consul in March 1800. Within three months he is promoted to Capitaine. On 24 November 1801, in the Mairie de Arrondissement Communal des Rennes Piré married to Saint Malo, born Marie-Pauline-Emilie Hey des Netumieres. The couple's first child, a boy they call Edouard-Marie was born on 7 October 1802, then in February 1804 another boy, Ernest was born. Both boys, in later life become Pages to the Empress of Russia and serving officers in the Russian army. Piré, during a period of service as Etat Major General de la Grande Armee, was present at Austerlitz and twelve months later, in December 1806 was appointed Chef d'Escadron to the 10e Regiment des Hussards. He was present at Eylau on the 7 February 1807 and then became ADC to le Marechal Berthier before being appointed Colonel du 7e Regiment des Chasseurs-a-Cheval serving in the Division of LaSalle. In November of 1808 having previously, in August, been made Baron de l'Empire, Piré began a brief period of service in Spain during which he took part in the incident at the Pass of the Somo Sierra. He carried out the reconnaissance of the Pass, before the first assault was made by the duty squadron of the Chevaux Legers Polonaise. A posting to the brigade of General Etienne-Tardiff de Pommeroux Comte de Bordessoulle lasted from 1 January until 10 March 1809 when he was promoted to General-de-Brigade. On the 30th of the same month, he was appointed Commandant of the 2e Brigade comprising the 8e Regiment des Hussards and the 16e Chasseurs-a-Cheval in the Division of General Louis-Pierre Montbrun. Attached to Davout's III Corps de la Grande Armee, his squadrons making a total of some 1,240 sabres, he took part at Tengen, Schierling, Eckmuhl, Ratisbonne, and Ebersberg. His brigade then became part of LaSalle's 1er Division de Cavalerie Legere attached to the IV Corps of le Marechal Andre Massena, which was present at Aspern-Essling in May of 1809. He took part at Wagram on July 6, by which time his squadrons had been depleted to total only 850 sabres. On the 18th of July, Marie-Pauline-Emilie gave birth to their third child, another boy, Alexandre-Elisabeth. He became, in fact, the last male to carry the Piré family name when he died in February 1885. During the Campaign in Russia in 1812, Piré commanded the 4e Brigade (still the 8e Hussards and 16e Chasseurs-a-Cheval) in the 1er Division de Cavalerie Legere of General Pierre-Joseph Bruyere, which in turn formed part of the 1er Corps de Cavalerie de la Grande Armee whose commander was General Etienne-Marie-Antoine-Champion de Nansouty. The brigades completing the division were the 3e comprising the 7e Hussards and the 9e Chevau Legers of General Charles-Claude Jacquinot and the Brigade of General Nicolas-Francois Roussel-d'Hurbal which combined the 6e and 8e Regiments de Lanciers Polonais and the 2e Hussaren Prusse. Piré's regimental commanders were 32 year old Colonel Jean-Baptiste-Michel-Francois L'Huillier de la Serre of the 16e Chasseurs-a-Cheval who died in Poland on 9 January 1813 from the effects of the Retreat. He was succeeded by 30 year old, Minden born Colonel Antoine-Henri-Armand-Jules-Elisabeth Latour-Foissac. The 7e Hussards started the campaign with Jean-Simon Domon as colonel. He was promoted to general in mid 1812, and replaced by Colonel Charles-Yves-Cesar Cyr du Coetlosquet on the 4th August. The Brigade saw service at Vilna early in the campaign, then at Ostrovno from 25 to 27 July where one of Piré's ADC's, Lieutenant de Castebajac was among the wounded. At Borodino on 7 September de Castebajac was again wounded as were Colonel du Coetlosquet, Chef d'Escadron Comte Argout, and Chef d'Escadron Pierre-Charles Potier all of the 8e Hussards, and Lieutenant Robert de Ste Croix who had a leg carried away by a round shot. 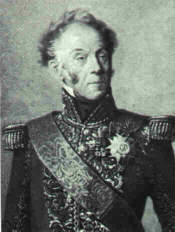 Piré became General-de-Division in October 1813 and was given command of the 9e Division de Cavalerie Legere du 5e Corps under General Milhaud. One of the casualties during this period was another of Piré's ADC's, Chef d'Escadron de Motboucher who lost a leg at Leipzig. During the campaign for France, his command saw service at Saint Die, Brienne, La Rothiere, Mormant, Troyes, Ferte sur Aube, and Saint Dizier. During the 100 Days, Piré commanded a Division de Cavalerie Legere in the Corps commanded by the 39 year old, General Honore-Charles-Michel-Joseph Comte Reille. Piré's Division consisted of the 5e and 6e Lanciers commanded by 27 year old, Colonel Jean-Francois Jacqueminot Vicomte de Ham, and Colonel Nicolas-Marie-Mathurin Baron de Galbois respectively. The brigade commander was 38 year old, Versailles born General Francois-Isidore Wathiez. The 2e Brigade comprised the 1er and 6e Regiments des Chasseurs under Colonels Pierre-Joseph-Victor Simonneau and 27 year old, Paul-Eugene de Faudoas. Their brigade commander was the 60 year old veteran Prussian born General Pierre-Francoise-Antoine Baron Huber. The officer casualties for the conflict amounted to 44 wounded including Colonels de Galbois and Simonneau and six killed. After Waterloo, Piré was proscribed by Article 2 of the Ordonnance dated 24 July 1815 and fled to Russia where his sons were accepted into the service of the Empress and the Russian military. His fourth and last child, another boy, Victor-Marie was born on 30 September 1815. Piré was authorised to return to France in May 1819 and was made Chevalier de Saint Louis in February 1820. In January 1834, he was decorated as Grand Officier de la Legion d'Honneur. Having held a number of administrative posts he was permitted to retire in June 1848, age 72, and died in Paris on 20 June 1850. He was a talented commander and a natural leader, slightly built and energetic. He was a responsible leader who cared for the welfare of those under his command, but he could be rather abrupt if crossed. Although he switched his allegiance to the Napoleonic Empire and was exiled by the returning Louis XVIII, he obviously retained recognition and respect in exalted circles, which is borne out by the fact that his first two sons fared very well with the Russian Empress.